One of the main challenges Afghan civil servants face is the lack of affordable housing. During Presidential Debate on Economy and Social Development on April 01, 2014, President Ghani promised to provide all government employees with housing. 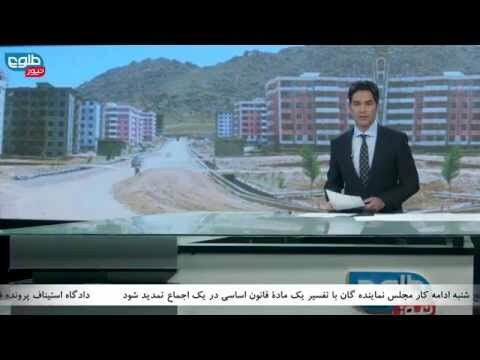 June, 2015: Following nine days of protest action by teachers in Kabul, the Ministries of Education and Urban Development launched a housing scheme in Kabul for educators. According to the two ministries, 300 hectares of land in Istalif district has been allocated for the scheme – which was launched at a ceremony attended by the two respective ministers, MPs and other high-ranking officials. So far, about 80,000 teachers have been given plots of land throughout the country, he said, emphasizing that the remaining teachers in Kabul, Ghazni, Uruzgan and other provinces would also get their plots in the near future. But one teacher, who has received his plot of land, says he is not happy with the scheme. "The plot I got is at the top of a mountain. How can I build on it with only 8,000 Afghanis which I am being paid a month. Except animals, no human being can live there," Akbar claimed. The protesting teachers, however, continued on Tuesday to warn government that as long as their demands are not met, they will continue their strike. In addition, the teachers also demand a salary increase. Teachers currently earn between 7,000 and 13,000 Afghanis. Ghani's deputy spokesman Sayed Zafar Hashimi said on Tuesday: "The president has earmarked 800 million Afghanis for teacher salary increases." Based on statistics, Afghanistan currently has more than 200,000 teachers across the country. June, 2015: A growing number of Kabul school teachers went on strike in June, protesting the government's supposed failure in following through on promises made to them. The strikers have demanded the government distribute them land and housing and raise their salaries. While the Ministry of Education (MoE) has said meeting those demands could be difficult given limited public funds, but officials assured that the national unity government would address the grievances of the teachers. President Ashraf Ghani promised last year in a ceremony marking teacher's day to increase the salaries of teachers and to allot each of them a piece of land within six months – a process which has not happened.